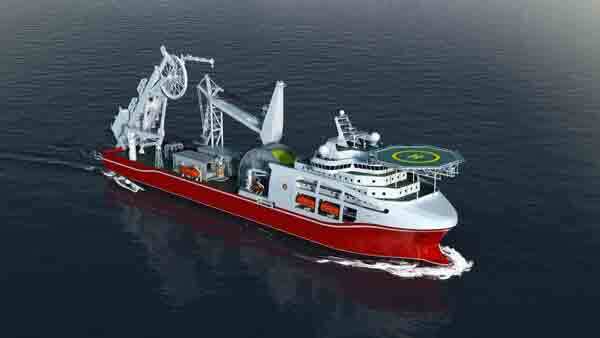 Purpose-designed for a range of roles including deep-water salvage operations, deep-water pipelay and construction as well as a saturation diving capability for up to 24 divers in two bells, Shanghai Salvage Bureau’s new ship is a testimonial to the demand for top-rated technology and equipment of the highest reliability. The vessel will feature GE’s latest technology—SeaStream DP system (Class 3). Using multidirectional thrusters and sensors to monitor real-time wind, current and wave conditions and automatically activate the propulsion units to counteract the environmental forces, the technology will enable the ship’s position and orientation to be safely and efficiently controlled. GE’s deep-domain expertise in DP has also extended its capability to include fuel usage optimization. GE’s Ecomagination energy-efficient mode uses advanced algorithms to optimize vessel heading and optimize the number of generators needed for operation, further reducing power consumption, operational costs and emissions. “Thanks to the GE Store, we are able to provide a suite of marine technologies through a blend of high competence in one integrated package,” said Tim Schweikert, president & CEO, GE’s Marine Solutions. “This is one of the landmark projects in the offshore marine industry, and we are excited to be part of the journey.